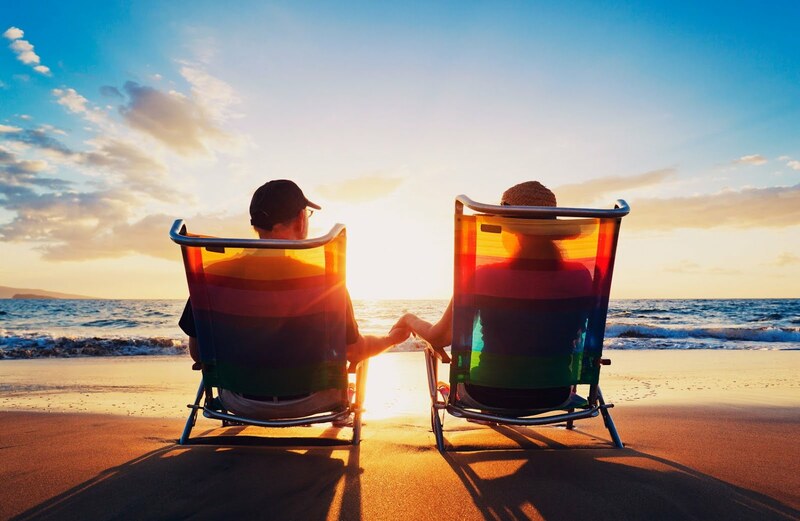 Spirits Come Back to Life on the "Day of the Dead", Mexican Stock Market and Real Estate Values Outperform the U.S., A "Bedrock" Home Made Entirely of Used Tires, Sending and Receiving Mail in Mexico, Buying Real Estate in Mexico - Yes… Even as a Foreigner … You CAN Own a Piece of Paradise! 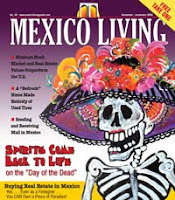 These stories and more in this months Mexico Living. Dia de los Muertos (Day of the Dead) is celebrated throughout Mexico and the Southwest States, and coincides with the Christian All Souls and All Saints Days. On November 1 and 2 people remember those who are deceased. November 1 is considered the Dia de los Angelitos—the day to remember children that have died, November 2 is the traditional Dia de los Muertos. Pictures of the deceased are placed on Dia de los Muertos altars with their favorite food and drink. Candles to light their way home, and soap and water to freshen-up after their long trip back are also often placed on altars. Trinkets they were fond of, symbols they would understand and gifts are left to communicate to them that they are always in the hearts of those they left behind, and that they are still part of the family even though they aren't physically with us any longer. Families often spend time at the cemetery with loved ones, bringing food and drink along with all the other necessities for a picnic. However, at this picnic the deceased is the guest of honor. Dia de los Muertos is a time of joy because we know that we are surrounded by those that we love—both living and dead. People often compare Dia de los Muertos to Halloween, and while at first glance there may appear to be a similarity, in truth the two celebrations are quite different. Halloween is a European holiday that is based on their concept of death, which is vastly different from the original Aztec meaning. The Aztecs beliefs were very similar to the Aboriginal beliefs of Australia. This life is considered to be a dream, and when you die, you awake to your real life. Halloween, on the other hand, is celebrated with witches, demons and monsters and none of these are shown in a positive light. Day of the Dead began as an Aztec celebration originally celebrated in August. Skeletons and skulls were used as symbols for death and rebirth. Instead of fearing death, they embraced it and considered it a "moving-on" to a higher level of consciousness. When the Spaniards came and converted the Aztecs, the Aztecs incorporated the symbols of the crucifix and devil into the celebration, which the Spaniards moved to November 2. The Devil doesn't have the same meaning that he does in the religious "Exorcist" mentality. People often misunderstand other cultures' definition of the devil, and I have had many people offended by my Dia de los Muertos artwork that features him/her. In many cultures there are deities that are neither all good, nor all bad, but a mixture of both. Depending on which side they got out of the bed that morning and how you treat them. Therefore, for these deities that may at times be cruel, can be treated with honor and respect by someone hoping to get their help and remain on their good side. This really is no different from the Old Testament God, who if he liked you, put you on an arc with two of every animal, and if he didn't he acted the part of the stereotypical mafia don and "let you swim with the fishes." The devil did not exist for the Aztecs until their conversion to Christianity. Dia de los Muertos art is meant to show the duality of life, which is that it can only exist surrounded by death. This is reality, not superstition. The artwork is meant to show this and make it, death, a part of life, to be accepted and acknowledged instead of feared. As the old saying goes, "Every day is a dance with death." So live a life you enjoy, and when the time comes that those you love build altars to celebrate your life on the Day of the Dead, know they are thinking of you and they will join you in their own time. There are only two weeks left before Baja & Sonora's Biggest Home & Garden Exhibition! 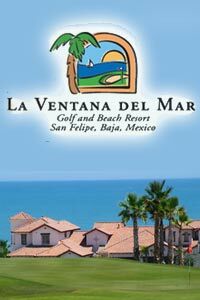 Expert speakers will be providing the information you need to know throughout the day and over 100 exhibitors will be showcasing their products and services at La Ventana del Mar Resort in San Felipe Baja California. 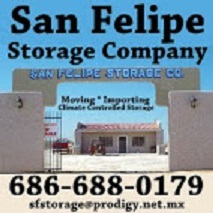 Located at the Las Cara de Mexico professional golf course on the shores of the Sea of Cortez. If you think you will ever play, vacation, invest or move to Mexico - don't miss this amazing event. Everything you need to start living your dream; one day, one place. 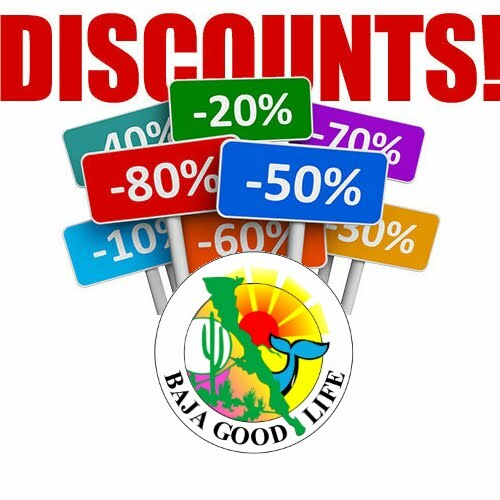 If you are a business offering products and service to within Baja or Sonora, you can't afford for your business not to be here. Contact the Mexico Living Home Show IMMEDIATELY, space is selling out. November 5, 6, 7 & 8 Bike Rally 2009. 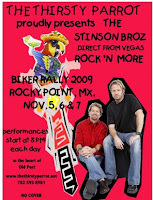 On Thurs, Friday and Saturday beginning at 8PM each night The Thirst Parrot will be featuring THE STINSON BROZ. 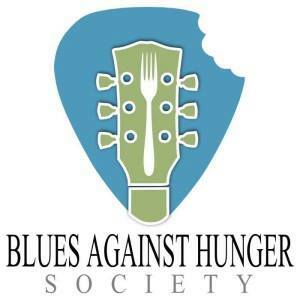 They hail from Las Vegas and bring to the stage a combination of rock, country and humor. Also this weekend, we will be open early for "Breakfast and a Shot". Any breakfast receives a ticket for two shots of tequila which can be used anytime throughout the weekend. We will have free beads available to toss from our balcony and also a "burn out pit" staffed by an employee ensuring safety and fun for bikers who want to lay some rubber. More than 20 expert speakers and over 100 exhibitors. Everything you need to start living your dream. Find answers, professionals and solutions at the Home Show. 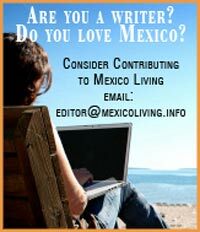 Mexico Living is looking for passionate people that love Baja and Sonora. We are looking for sales associates, local reporters and distributors across Baja and Sonora. If you're interested, email mexicoliving@gmail.com.